The use of Protein A affinity chromatography is commonplace in biopharmaceutical manufacturing, with 95% of all commercially available MAbs using Protein A purification. High purity is achieved in one step (around 99%), but it is well recognized that the cost of Protein A resins is substantial. If a product makes it to marketing approval and manufacturing these costs are amortized over a large number of purification cycles and the contribution to cost of goods is acceptable. 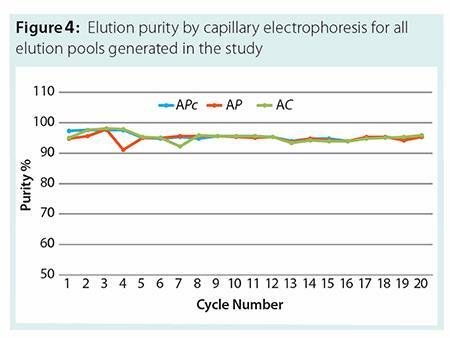 However, a high percentage of clinical projects will fail, resulting in the Protein A resin only being used for a small number of cycles – significantly reducing cost-efficiencies. One solution to the challenge of inefficient use of Protein A in clinical trial manufacturing was presented in a recent webinar titled, “Reducing MAb Clinical Trial Costs by up to 65% using Different Agarose Protein A Chromatography Resins – A Case Study.” In the webinar, Hans Johansson, Applications Manager, Purolite Life Sciences, presented the results of a case study in which they looked at reducing the cost of clinical trial material manufacturing with the use of purpose designed chromatography resins which can be interchanged between phases, tailoring resin performance and cost efficiencies to the differing requirements of early and late phase clinical trials. Estimated to provide cost savings of around 50% when compared to other market leading resins. Mr. Johansson then described the transition from early phase clinical manufacturing to Phase III clinical manufacturing and commercial manufacturing. He pointed out that once companies make it to Phase III clinical trials there are a couple of important changes. First, the risk is lowered (as failure rate drops to 30%) and second, MAb demand increases from phase II. As a result of the increased product demand, companies now need largescale production and consequently can benefit from increased cycles from their resin. Hence in Phase III and commercial manufacturing resin needs are different and a resin must be selected that better suits manufacturing. Mr. Johansson then presented data to demonstrate NaOH stability, equivalent performance and lifetime vs. market leading products. 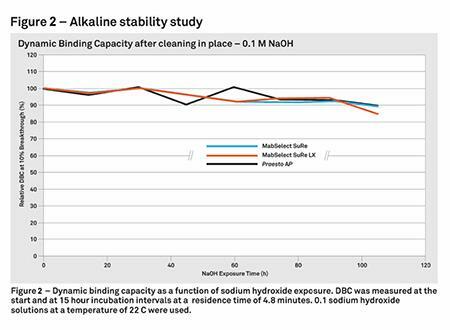 Figure 2 shows the dynamic binding capacity after cleaning in place of Praesto AP vs. other resins. Next Mr. Johansson presented the case study comparing the three Praesto Protein A Resins. The purpose of the study was to demonstrate comparability between results of the three resins on a number of key areas. These areas included: yield, purity, leaked Protein A, host cell proteins and DNA. 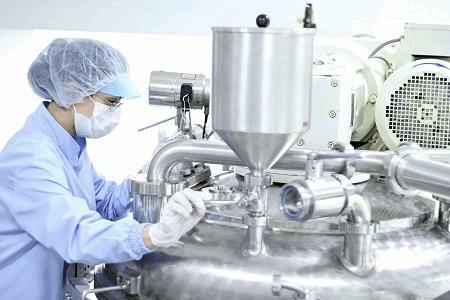 The study was commissioned at CPI UK’s National Biologics Manufacturing Center. Perkin Elmer provided assistance with the study and their Janus BioTx Pro Plus Workstation was used as the robotic platform. Comparability between the three Praesto Protein A resins was tested over 20 cycles. The same load and protocol was used for all three resins. The resin was packed in 600 μl RoboColumns by Atoll. Alvotech Biopharmaceutical supplied the biosimilar MAb that was manufactured in CHO cells. 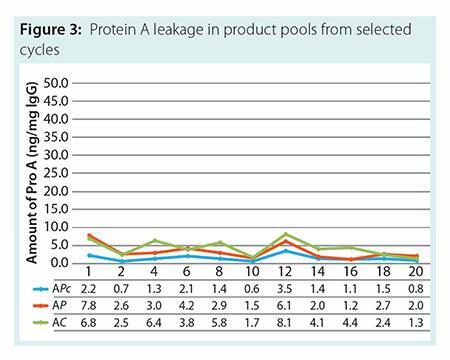 The results of the study demonstrated that across all three resins there was low Protein A leakage (fig 3) and high and consistent purity (Figure 4). In addition, residual DNA was cleared at more than 99% of the load value. Overall there was no significant change in purification performance across all three resins. This data set confirms both the performance and comparability of the three resins, enabling smooth scale up and a dual sourcing option. It also provides support for the use of clinical resin for early clinical studies with a switch to higher resin capacity for manufacturing. Mr. Johansson concluded his talk by discussing Purolite’s new manufacturing facility that is scheduled for completion in 2017 in South Wales. The facility will increase Purolite’s annual production capacity to provide 30% of the world’s agarose demand. It will be capable of producing 100,000 L of high flow agarose resin for their Praesto® range of ion-exchange and Protein A affinity resins, designed for the purification of monoclonal antibodies. This facility ensures security of supply and dual sourcing. It also makes Purolite the second largest supplier of agarose globally. Please play video below for a facility tour.